Every month we deliver food to the hospital, the school and the girls who participate in our sewing education. 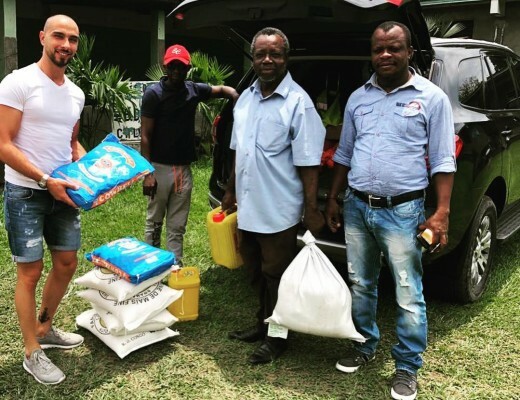 When we are not in Kongo ourselves, we get help from our friends and employees on site to deliver the food to our projects. In the beginning of december, Tresor once again travel to Congo to work with our projects. He will visit our school to meet our students and teachers. He will also meet our girls who participate in our sewing education. He also plans to visit our hospital and hand over glasses and meet our football players and share some football equipment. Last but not least, he will visit our land to monitor the construction of our internship school. During our latest trip to Congo-Kinshasa we have visited our ongoing projects as well as supervised the construction of our internship school. We have visited our girls who participate in our sewing education. They made school uniforms for the children at our school and have started a new project to produce products from recycled materials. We have also visited our school and met all schoolchildren, their parents and the school staff. We have also started a collaboration with a hospital run by the Catholic Church. This hospital has many different types of activities, including maternity care, child welfare and care of malnourished children. They also perform eye examinations and hand out glasses for free. During our stay, the Swedish Emabassy in Kinshasa visited the hospital. During our recent trip, the building processes for our internship school have started. We have purchased materials and prepared the land for construction and began to manufacture bricks for construction. Soon, we will return to Kongo-Kinshasa to work on our projects. During our coming trip we will visit our school to meet the teachers as well as our students and be involved during the school start. We will also meet our girls at our sewing school. We plan to bring glasses that we received from Synsam Sweden. We will leave the glasses at our health center so that we can continue to offer free eye examinations and glasses. Last but not least, we will visit our land where we will continue with the construction of our internship school. 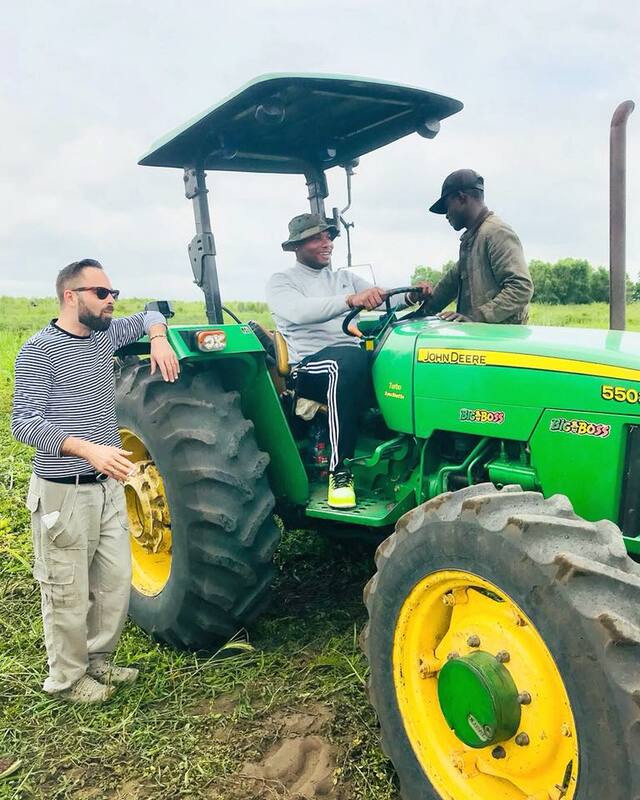 At the beginning of 2018, we bought a 10,000 hectare land, which we have prepared in the spring and summer to make it ready for the construction work. 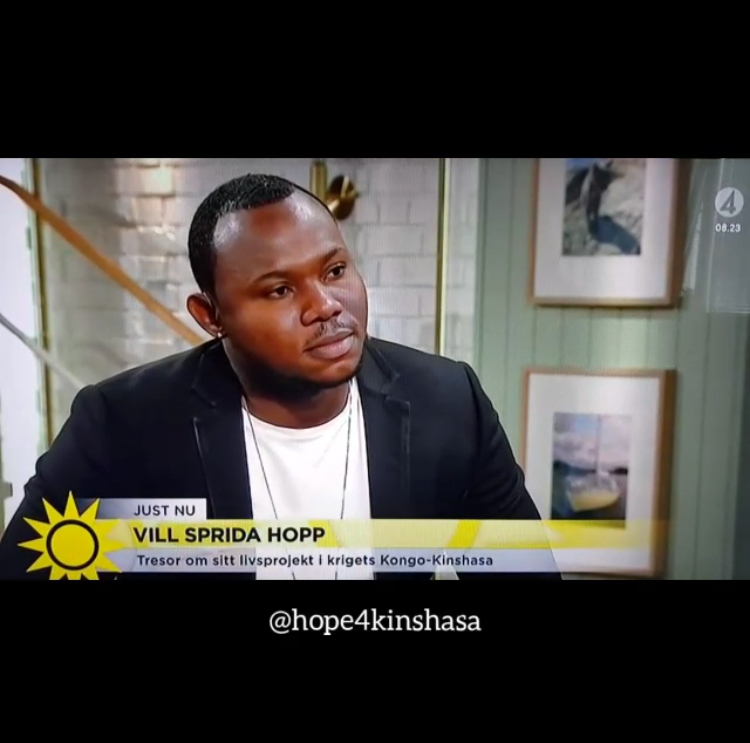 In case you have missed Tresors visit in the Swedish television program Nyhetsmorgon you can watch the clip here. 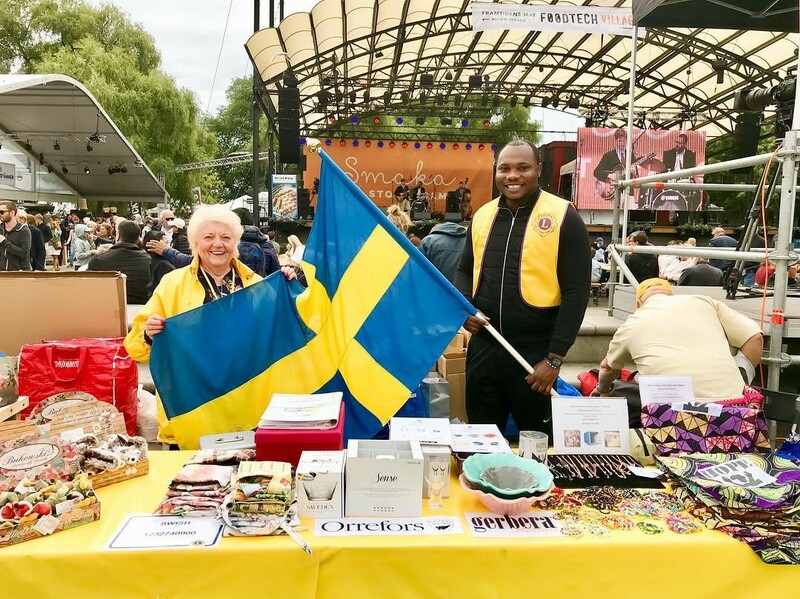 We would like to thank everyone who visited Kungsträdgården and Smaka på Stockholm and took the time to get past our table to support our work in Congo-Kinshasa by buying jewelry or bracelets and listen to us speaking about our organisation. Everyone’s support is extra important now when we face our biggest project since we started building a boarding school. Our next trip to is scheduled for August 2018 and then we will continue the construction process of our school and visit our current activities. 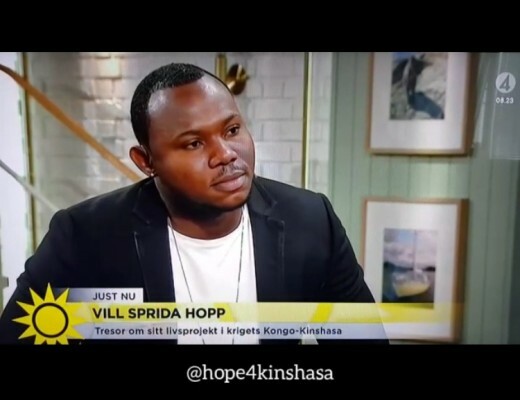 Do not forget to check out Nyhetsmorgon on July 22 between 8.00-9.00 where Tresor will participate and speak about our work with Hope for Kinshasa. 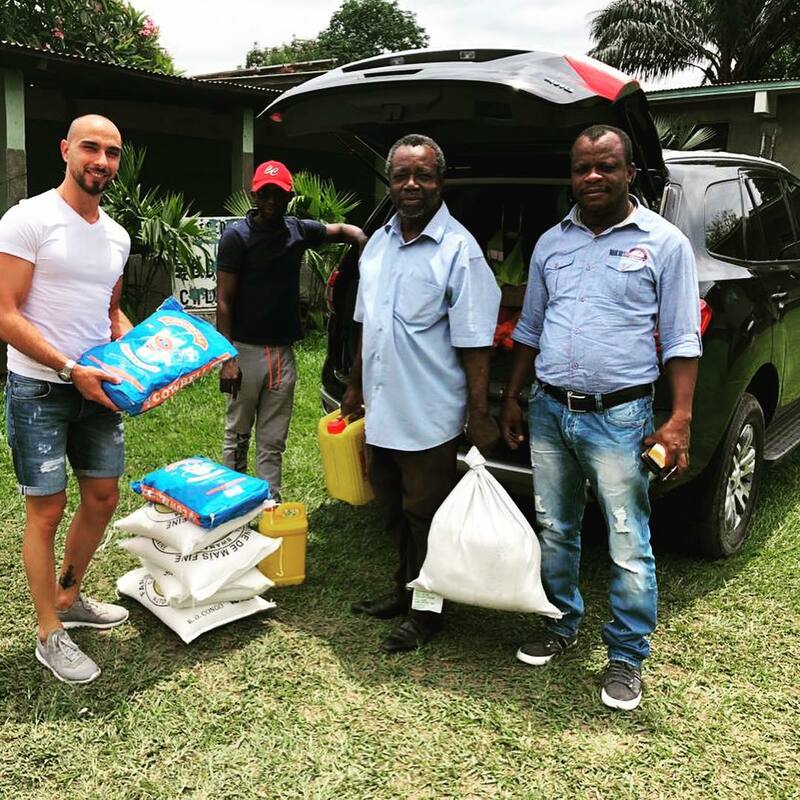 During April 2018, Tresor again made a trip to Congo-Kinshasa. Even this trip was very successful. He visited our preschool, school, our Girls who are sewing and the girls working in our hairdressing salon. 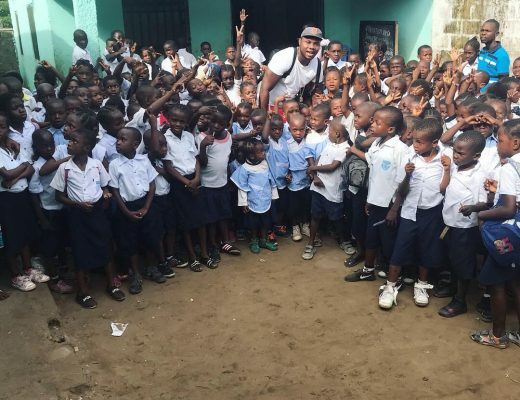 The children and young adults at our preschool and school are well and they are excited about the opportunity to participate in school education in Malueka where they live. Our girls who are sewing have sewn bibs that Tresor brought back to Sweden. This project is a collaboration with Textilhögskolan in Borås and MäryDesign. They also got a new ‘workplace’ in the form of a floor and a roof since they have previousl worked outside the teacher’s house without any protection from the weather and wind than an old tree. Last but not least, we have completed the final agreements regarding the land that we have purchased to build a school. We have also begun to build a fence around the land. After the summer we will start the construction process for the school with space for approximately 300 students from grades 1-9. We would like to thank everyone that came to the launch event for Heartworking Foundation january 22 and listened to our story. The event was very nice with good food and exciting stories. 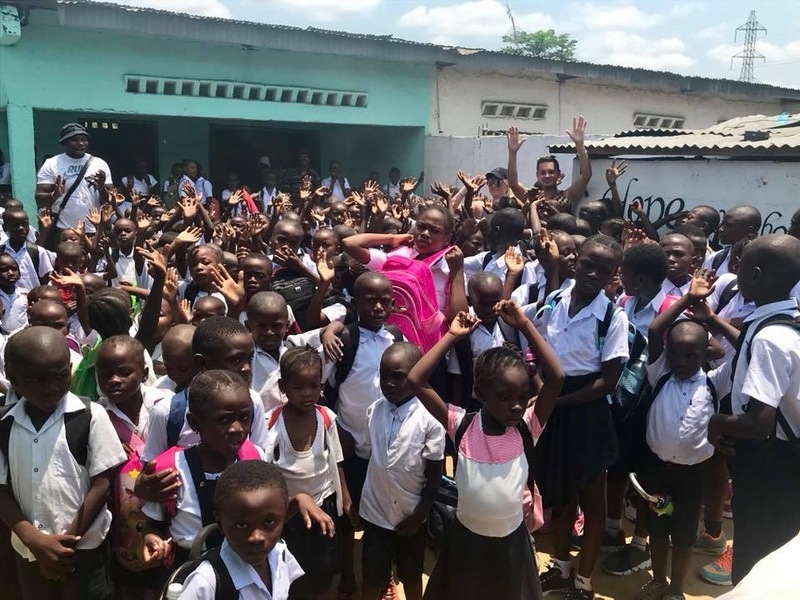 Hope for Kinshasa are going to receive financial support from Heartworking Foundation in connection with our educational projects, including our school project where we will build our own school. The company Hero AB is the founders of Heartworking Foundation. 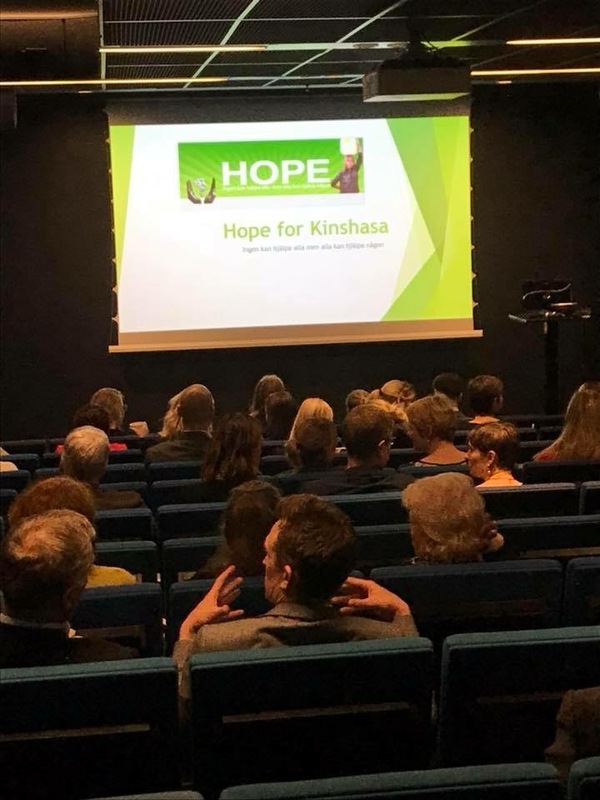 Hero AB is a recruitment company and the idea is that one swedish crown for each hired consultation hour will go to Hope for Kinshasa and one other organization called Together as One. They also work with educational projects but in Ghana. 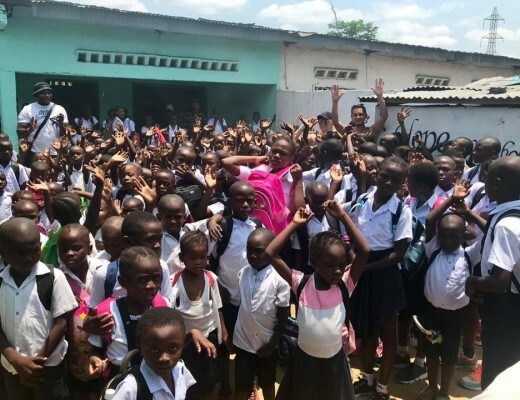 In mid-February 2018 we will once again travel to Congo-Kinshasa to look for suitable land and start our biggest project ever; the school project. 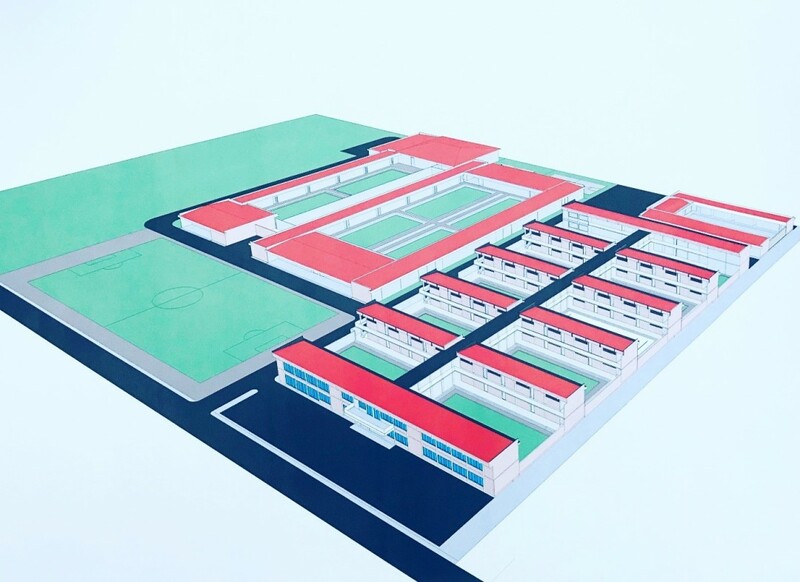 We plan to build a school for approximately 600 students in grades 1-9 and vocational school / high school. More info about our upcoming project will be coming soon. During our last trip to Kinshasa, the renovation of our school continued. 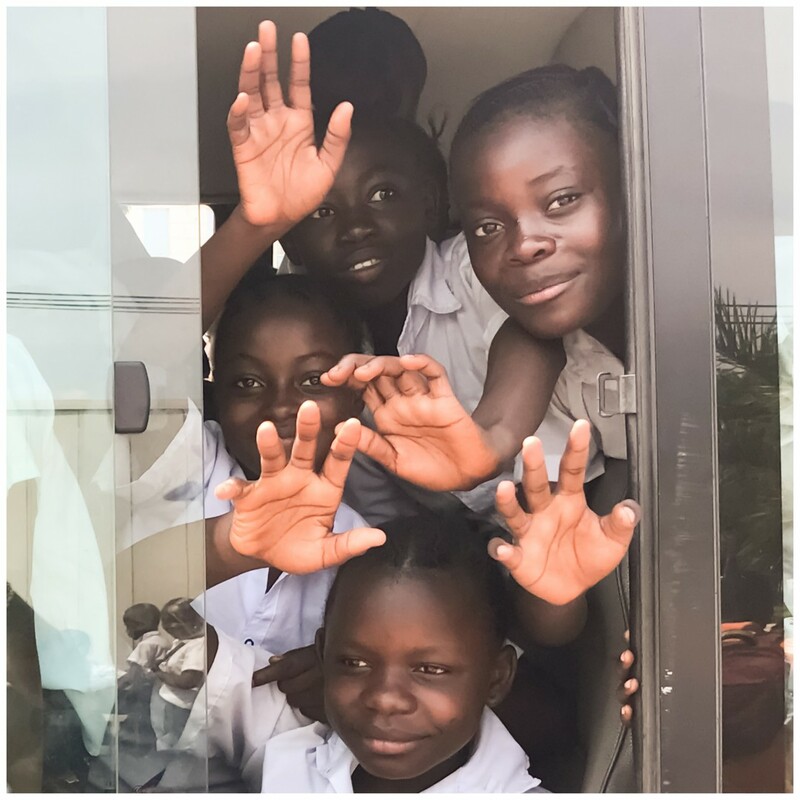 It is not yet complete but has now such a good standard that our approximately 400 students have begun to attend to school classes at the school. Tresor also met our girls who plays soccer when they participated in a training match. He also met our girls who go to our sewing school to talk to them and plan for future projects. They continue to sew bags that we sell in Sweden for the benefit of our sewing project in Kinshasa. Tresor also visited our health center where the residents of Malueka once again had the opportunity to get free eye examinations and glasses thanks to a collaboration with Synsam and Lions club Stockholm. 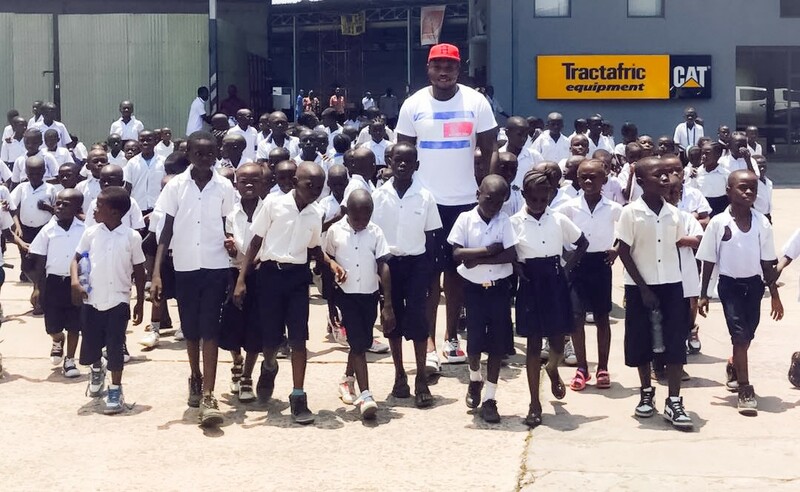 Last but not least Tresor took 250 children from school and went on a school trip to Tractafric. There the children got a chance to look at different tractors and machines, which was much appreciated. During August 2017 we traveled to Congo-Kinshasa to monitor our ongoing projects and start new projects. We met our girls who are sewing at our school that we started in connection with our micro-loan project. This project has been very successful and they are now very good at sewing. 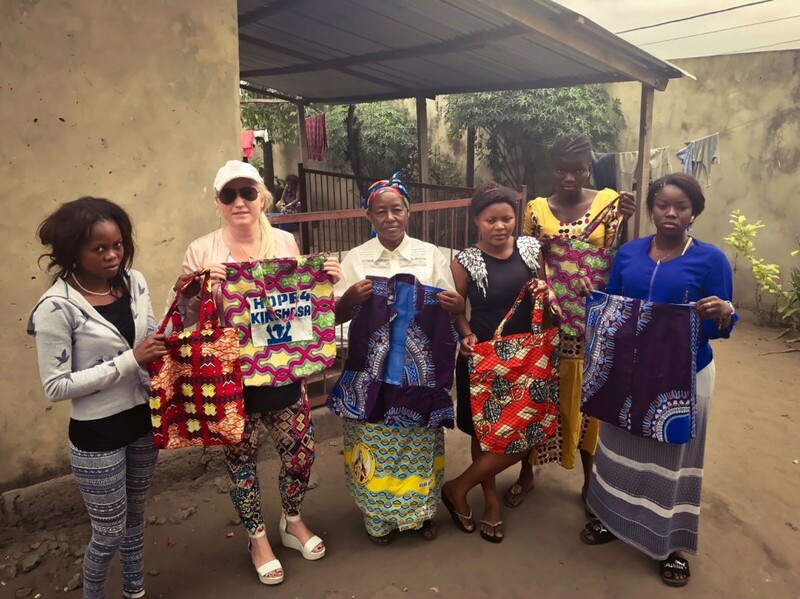 As a final test, they sew clothes in African fabrics for us, as well as bags in African Fabrics, which we bought with us to Sweden and will be sold here. The money from the sales will return to our girls so that they can buy more material for their business. In this way, they can continue their business and become independent and self-sufficient. We have also met the women in the second part of our micro-loan project. These women are involved in agriculture and sell what they cultivate in small stores. This project was also very successful so it will go for a long time to come and new women will be able to get help through this project and thus become self-sufficient and self-sufficient. We also met our girls who play football and got the chance to share more material with them that we brought with us from Sweden. We have also moved our care center / youth reception to better premises and have taken over and renovated a school where we will start a primary school soon. Before we started our trip to Congo-Kinshasa we loaded a truck full of material that we have collected for over two years. The truck was then transported by boat from Belgium to Congo. The truck contained materials for our care center / youth reception, preschool / school and our vocational training / microloan project. With the help of the material in the truck we have now equipped our care center and school and, with the help of the material for our vocational training school, we have now started different types of company projects together with the students. The idea of ​​the project is that students will learn everything about entrepreneurship while becoming self-sufficient.